The state of Colima, in Mexico, has one of the highest per-capita homicide rates in the world. Nearly 50 percent of the state’s residents are reported to be involved in violent drug trade. Mexico’s drug trafficking means it is common to hear or see shootings in the state’s towns and cities. The violence in the region hit close to our team in late November. One of our close friends, a believer who worked to help drug addicts, was murdered in front of his five-year-old daughter. We are still reeling from this, but God is working in powerful ways to advance His kingdom in our city. Our work in this dangerous context started about three years ago, when my wife, Paty, and I moved to the city of Colima and began to develop relationships with non-believers. We prayed for another couple to join us, a prayer God answered last year when Mauricio and Gabriela Zamudio agreed to join us. For Mauricio, the decision meant leaving his profession as a businessman and turning his work over to his business partners. He was also concerned that the people they had been discipling in Leon might not continue growing in Christ without their support. Mauricio and Gabriela continued to pray and to talk with the Navigator community in Mexico about the possibility of working with us. Favorable responses predominated, and before long their network of Navigator friends had provided full financial support. So, in 2016, they took the leap and set up camp in Colima with their three children. We are all amazed by what God has done over the past year. Soon after the Zamudios arrived in the city, they connected with Gabriela’s distant relatives (whom they had never met). They were Christians, but they were discouraged and alone in their faith. 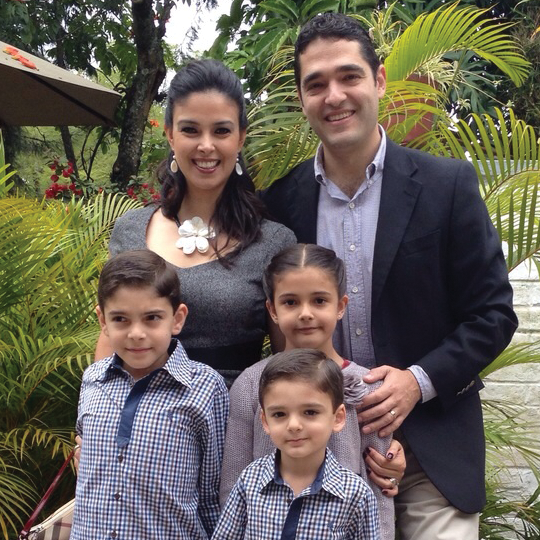 Mauricio and Gabriela formed a group to study the Bible, which reinvigorated relationships with God. Then Gabriela’s relatives started inviting others from their own network of family and friends to the study. In addition to forming this group, God has established three other study groups led by Mauricio and Gabriela. One is with couples and the other is with university students. Most recently, they have started a study for kids and young teens. These relationships are opening the door to a broader network of Mexicans in Colima, and today the Zamudios have a prayer list with more than 40 people on it. Although God is clearly working, Gabriela says that the move into Colima has not been easy. The crime and violence means that their children have much less freedom to play, and the kids have struggled to find new friendships. Gabriela says there is always a concern about safety, adding that everyone knows someone who has been shot. God’s protection was recently evident when Gabriela learned there had been a shooting not far from their house. She and her daughter would have been on that street at that time, but some unexpected inconveniences made them late for her daughter’s painting class. Raul Ortiz serves as the Navigator Regional Director for Latin America. He and his wife, Paty, live in Colima, Mexico. The helped pioneer the Navigator work in Uruguay.